It’s not every day you see a castle made of body parts. And you might not expect such a thing to look quite this pretty. 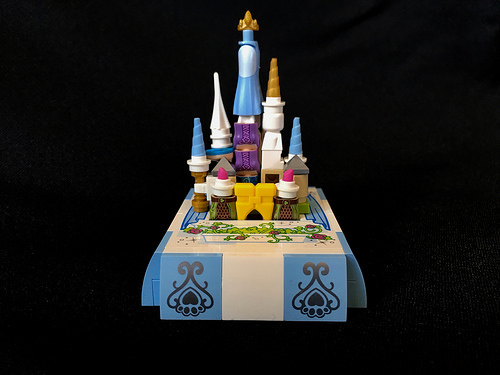 Fresh from using bananas for a cottage roof, alego alego has now put together a cute little microscale castle which makes extensive use of torso pieces from Friends minidolls. The parts selection somehow works, resulting in a creation that’s both weird and wonderful. I particularly like the minifig lifejacket used to create the yellow gatehouse — inspired.